The other day I got an absolutely lovely package in the mail. Who doesn't like receiving wonderful surprises? I was completely perplexed when UPS delivered this to my door. I hadn't ordered anything in ages, I wasn't expecting yarn (although I did get some this week...mmmm...yummy yarn fumes...), and the few minis swaps that I'm participating in wouldn't have arrived via fancy pants courier service. So what could it be?? 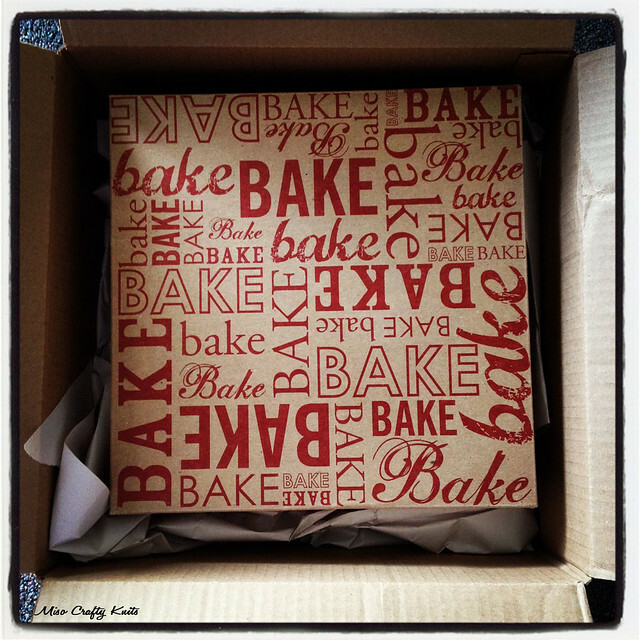 With great excitement of what could be inside, I ripped the box open and saw another box with the word "bake" written all over it. One: I'm a sucker for packaging and quickly got even giddier; two: seeing the "bake" I immediately knew who had sent this. Joy the Baker. My girl crush! I had forgotten that I had signed up for her Enjoy! program a few months ago (even though Hayley has reminded me every Friday about it), and this was my first "present"! Just all the chocolatey and espresso goodness that you need to bake up some Deep Dark Mocha Cupcakes!! You bet your bottom dollar that I'll be whipping up a batch of these bad boys over the weekend!! I was already planning on trying out the Simple Vegan Chocolate Cake this weekend, and who knows, maybe I'll bake up both? In my books, you can never have too much chocolate around! Actually, I don't think my house has enough chocolate! Can you tell I have a major sweet tooth? Joy, you already had me won over, but now that you've sent me chocolate...I will forever be putty in your hands! I think my head would seriously explode if she were to ever send me yarn or fabric! Oh, that is so awesome. I loooove joy the baker! Both the blog and the podcast are just <3 I am definitely watching out for the next sign up now. 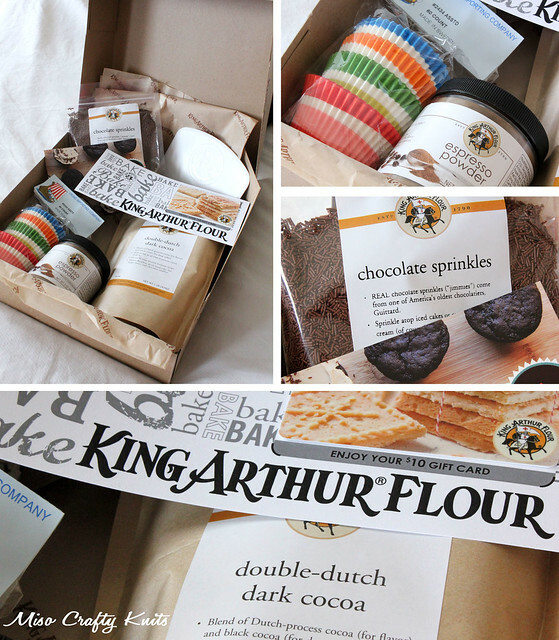 When Joy he Baker first offered the Enjoy subscription I hemmed and hawed over it and missed the first sign up. A friend of mine jumped on it the second she saw it. She showed me the first gift and I was determined to catch the next sign up. I think it's definitely worth it!! Oh my goodness!! I just recently discovered Joy the Baker, and I have to admit I'm totally crushing on her! (makes me feel better about it to know I'm not the only one!) This is the first I've heard of Enjoy, and I think it might be the coolest thing I've heard all day! In so jealous, and I must join next go round!! Lucky you, enjoy those goodies!! When I first heard of Enjoy I was a little skeptical...it's $30 and I was wondering if it would equal to cheap items arriving on my doorstep. But Joy promises that all gifts will excede the $30 price tag. And she was right! I have yet to meet anyone who doesn't love her! Leave it to Joy to think up of something as awesome as this!! !